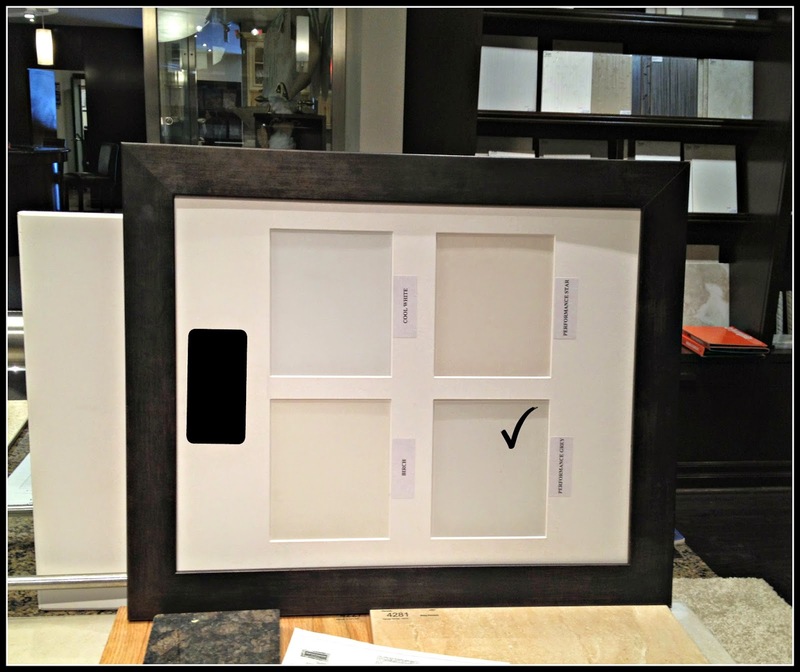 After going the Decor Centre so many times and visiting model homes we had most of our finishing sorted out. It was time for the Second Appointment with the builder. We submitted the list with upgrades to get the prices (yes, you have no clue about prices until you get the list back!!!). The builder sent us the list with prices 2 days before our appointment (what doesn't give you time to compare or shop around). Some prices were okay, however most of them were absurd really high. As I mentioned before, we have a budget. I was able to search for something online and we made our choices. 2nd Bathroom (3rd floor):This part of the house was all my husband's choice. We didn't choose any upgrade here. The cabinets are in style/design #3, but colour #2. I believe the second picture represent the colours better. The light at the Decor Centre is not the best! 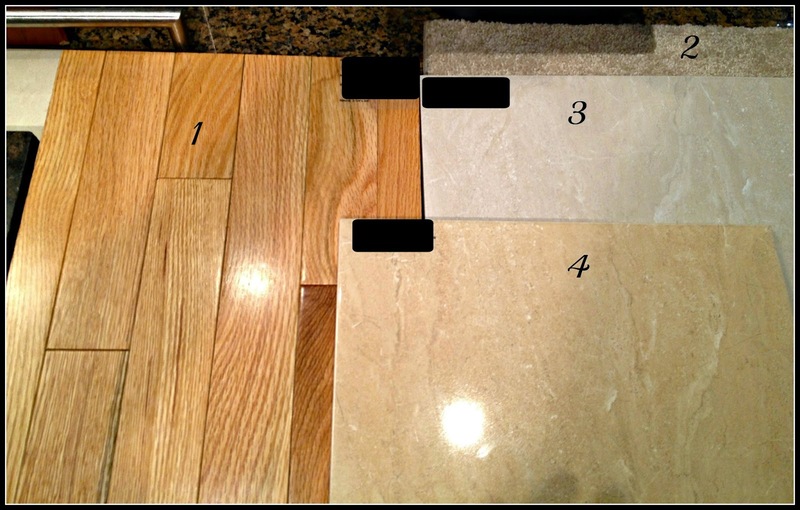 5= tiles for shower wall (Tuscany Bone). 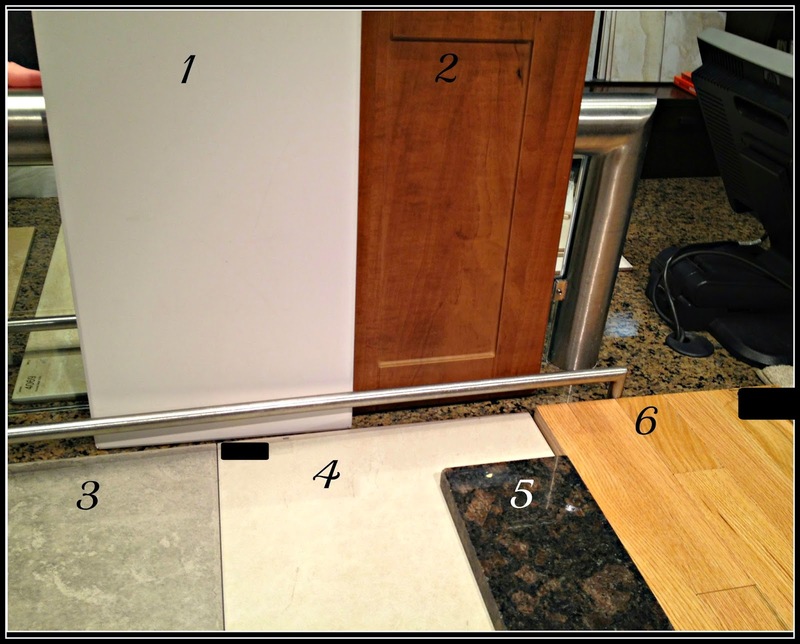 2nd and 3rd floor: we decided not to ask the builder for hardwood floor, it was too expensive. We will probably do it later ourselves or with a contractor. 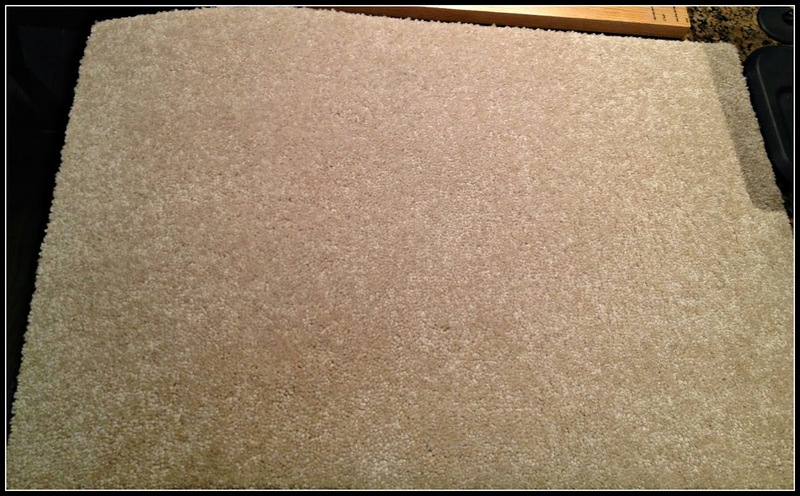 So we chose this carpet (also standard). Interior colour: we chose to go with a greyish white. In this picture (because of light, again) the colour doesn't feel right. Colours are standard. 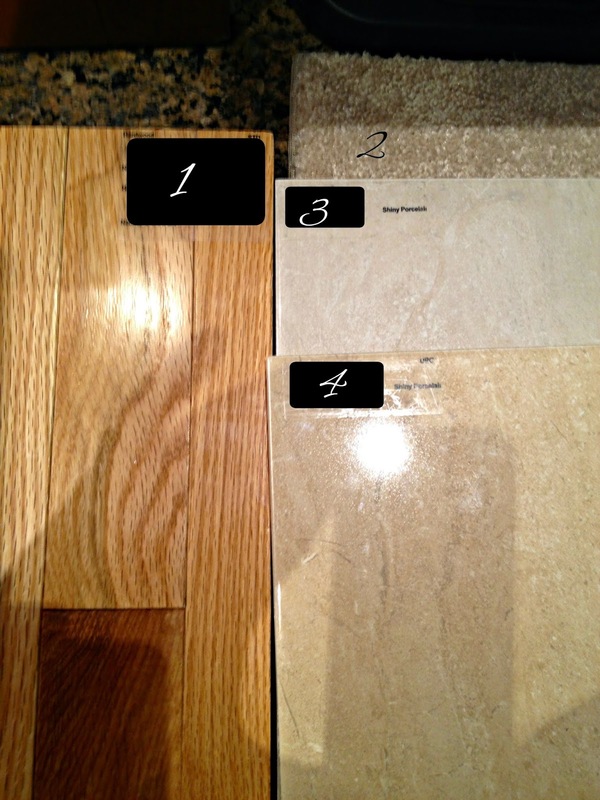 Ensuite (master bathroom): here we have our choices. I am going to confess that I was a little apprehensive with these choices. Since we have a window over the tub, we decided to have a darker floor with white cabinets and a dark countertop. I wanted the countertop to be a black granite, but this is not a priority and the builder was charging too much for the granite. 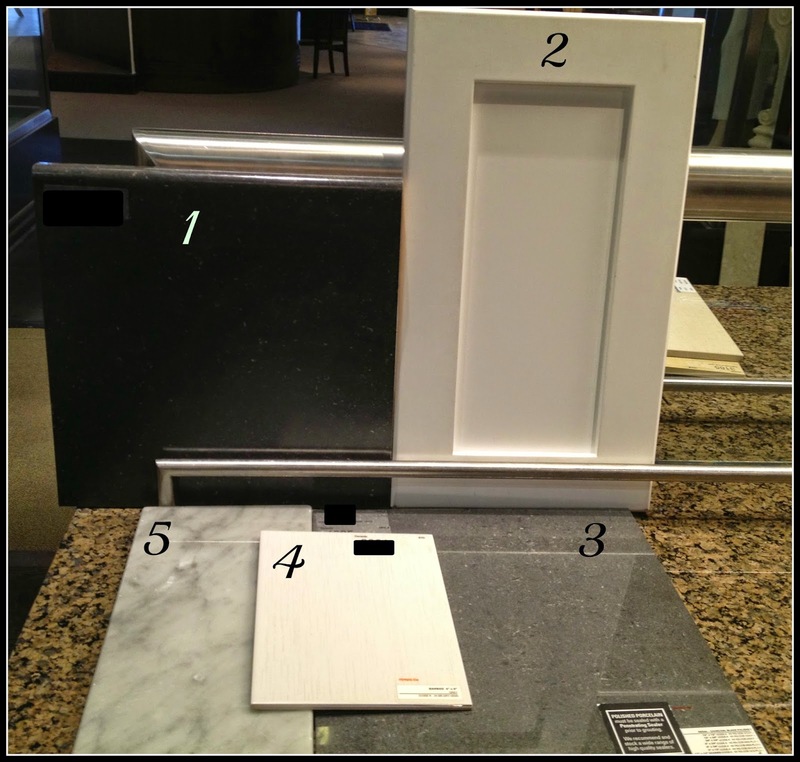 1= countertop (later we will change for a granite one). 2= cabinets in this colour and style. 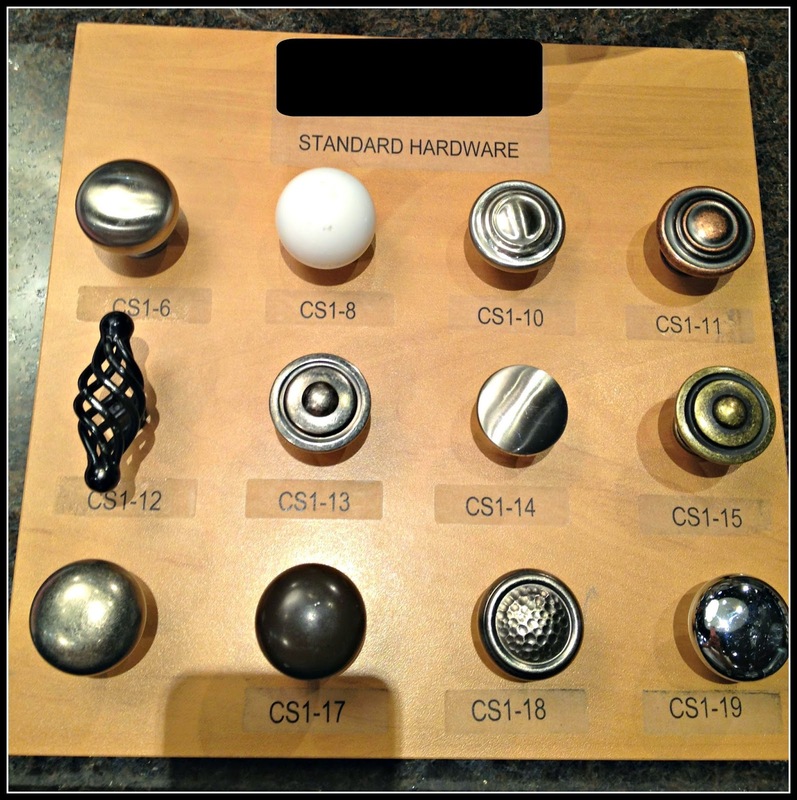 This type of cabinet is an upgrade. 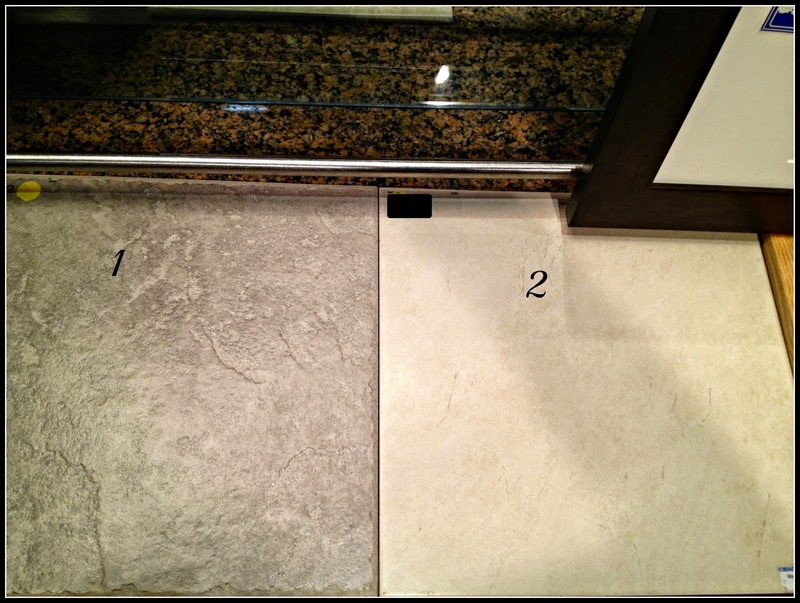 3= tile for the floor (upgrade). 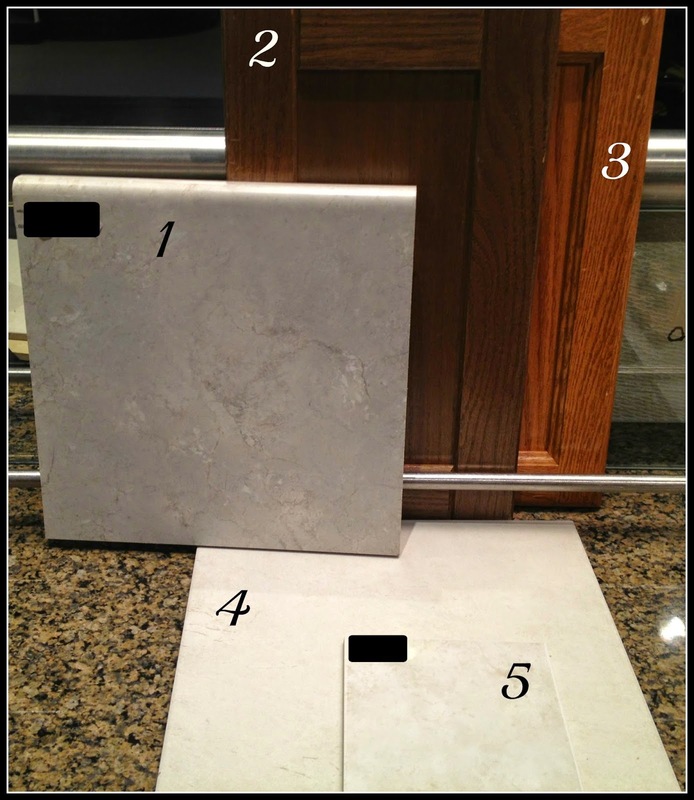 4= tile for shower wall and tub backsplash. 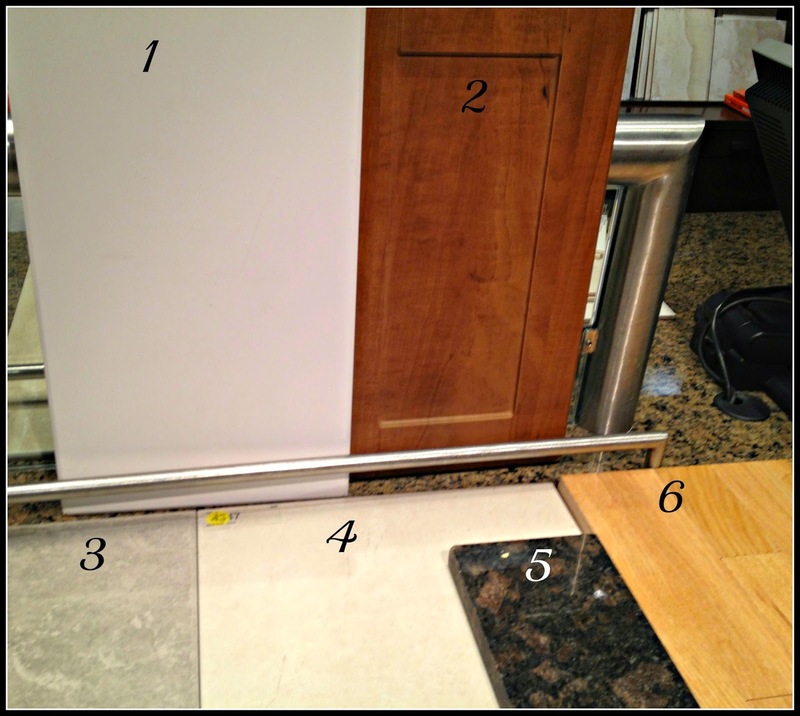 5= marble that will divide the shower and the floor. 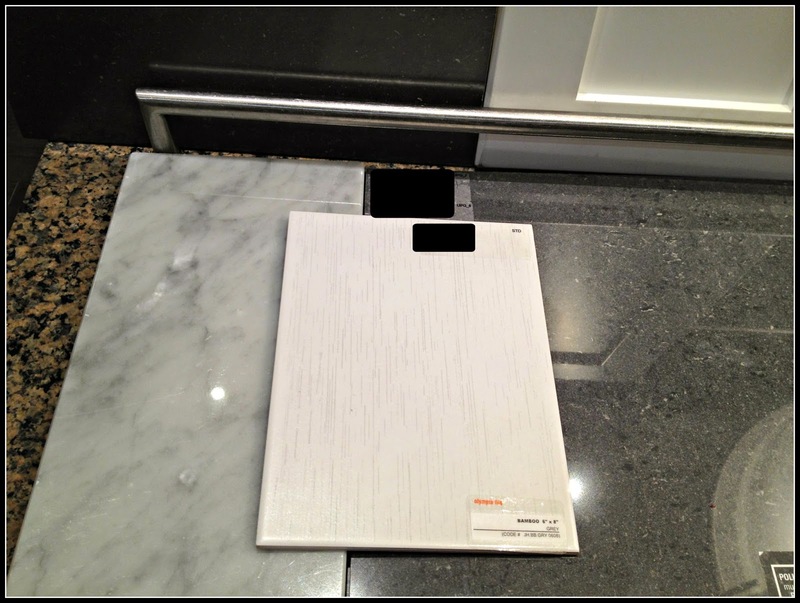 In this picture you can have a closer look at the tile for the shower wall and tub backsplash - with some grey pattern. Foyer, 1st floor and Powder room: We will have hardwood on the 1st floor. We asked for a cote of a stained flooring,... but it was too expensive. So we just upgraded to a wider hardwood floor keeping it in this yellowish color. We decided to upgrade the tiles for the foyer and powder room. This is the tile for the foyer. Kitchen and laundry area: we decided to pick a white kitchen. 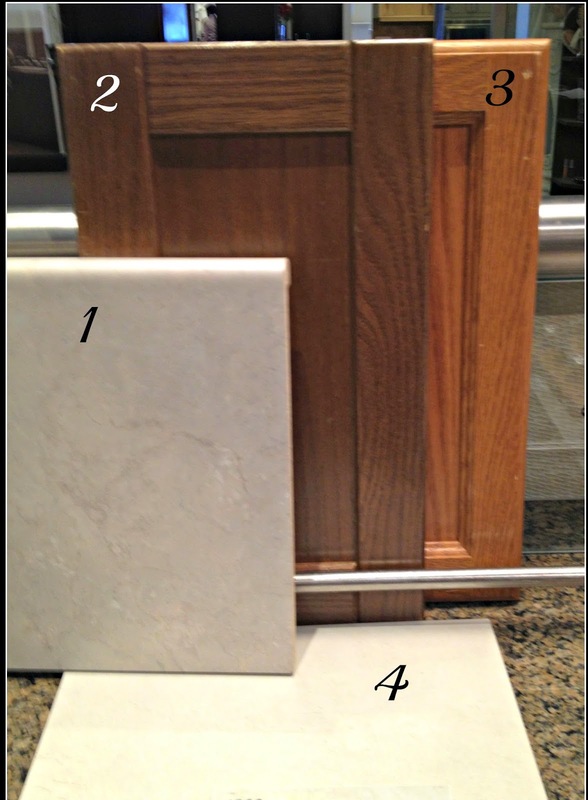 The cabinets will be a combination of the colour of the cabinet #1 with the style of cabinet #2. We also asked to add a deep upper cabinet above fridge with gable. 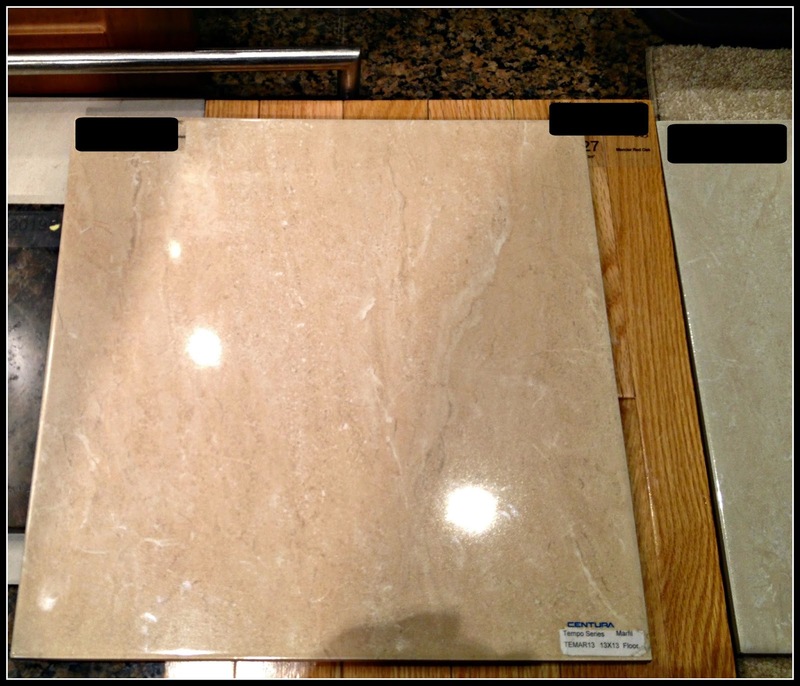 This is a closer look of the tiles for the laundry area (1) and kitchen (2). 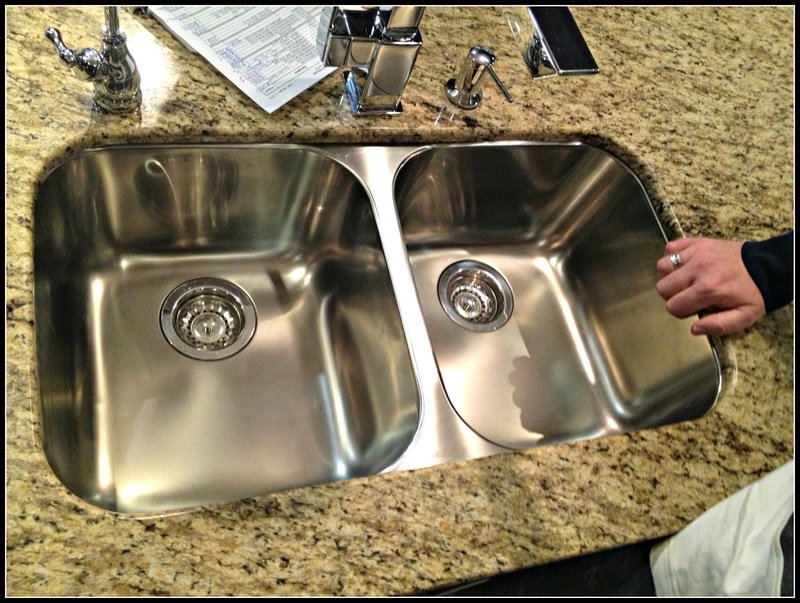 Another upgrade we decided to go with the builder is the undermount double sink. We chose the one in the picture. I liked the rounded corners. So, what do you think??? Will it look ok? I do hope so,... it was difficult to make all these choices. Please, let us know what you think!! !